Udeng, by the Balinese people also called destar, is a fabric that is folded into a very interesting and worn on the head. 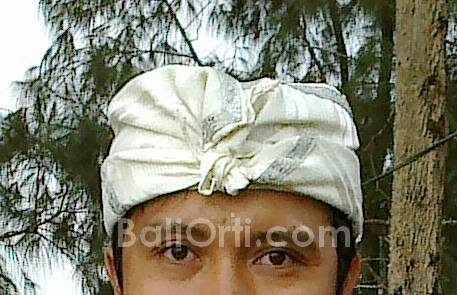 Udeng is headband for Balinese men. Destar is udeng, but not written by udheng. So, udheng will have a different meaning with udeng. Udeng (not udheng) always imposed by the Balinese man in traditional and religious ceremony in Bali. Udeng real function is to make the appearance of a man look more presentable and attractive. Although the beginning of the use of udeng intended that the hair does not decompose. 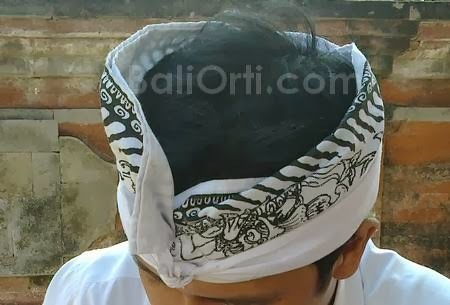 Along with the development, and trends in the fashion of headband for Balinese men getting changed, the design and structure of the udeng also growing and changing. 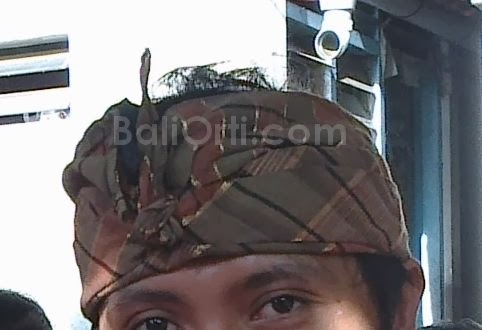 The use of a udeng now a fashion trend among people of Bali. Every year, style, color, and design on a udeng always changing. Although the eyes see at a glance, the appearance of a udeng always the same all of the time-to time, but if examined carefully so there are a lot of changes in the design and style on a udeng in Bali. Udeng formerly made by using a folded cloth. Now udeng there are ready to use without the hassle of folding. Many stores that sell udeng that is ready to use. The price is also very cheap, with a variety of patterns and colors. The size is also you can choose according to your large head circumference. Udeng have varying prices, the price depends on the fabric used, and the mode of Carna and fotif used. The price of a udeng ranging from 1 dollar to 10 dollars. Very inexpensive and can be used to visit the temple in Bali.